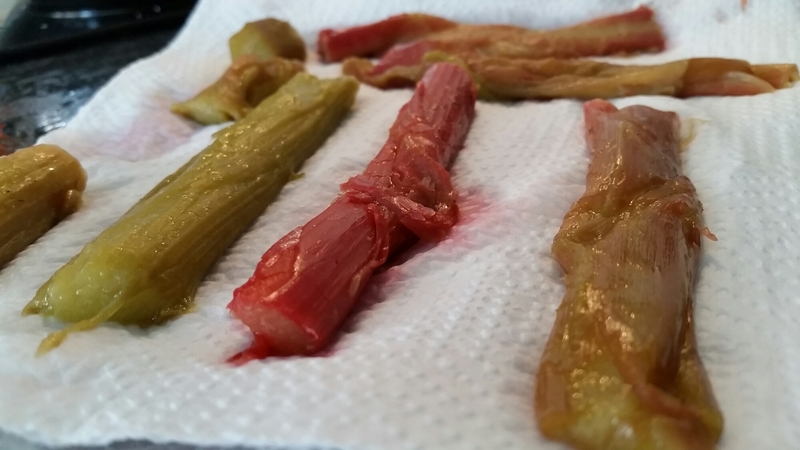 It’s the right season for rhubarb, but unfortunately my chickens have annihilated my plant. Apparently chickens love rhubarb leaves (and no, they’re not poisonous to them thankfully!). As a result I’ve only managed to harvest a couple of measly stalks. Not enough for a crumble, but just enough for rhubarb and custard eclairs for tomorrow’s Contact the Elderly tea party. 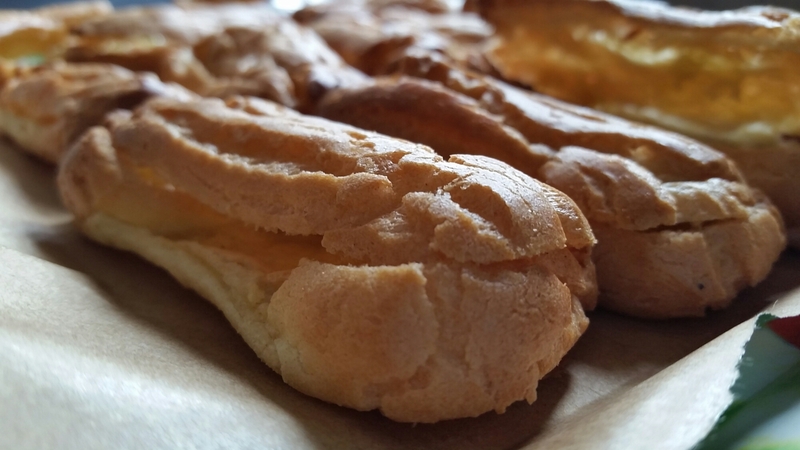 First you’ll need to make a batch of choux pastry, pipe it into short lines well spaced on a greased baking sheet, and bake until golden, puffed up and dried out in the middle. Remember to prick them with a skewer as soon as they come out of the oven to release the steam and avoid the dreaded collapse. Choux deflation equals sheer frustration. Trust me, I’m talking from experience! 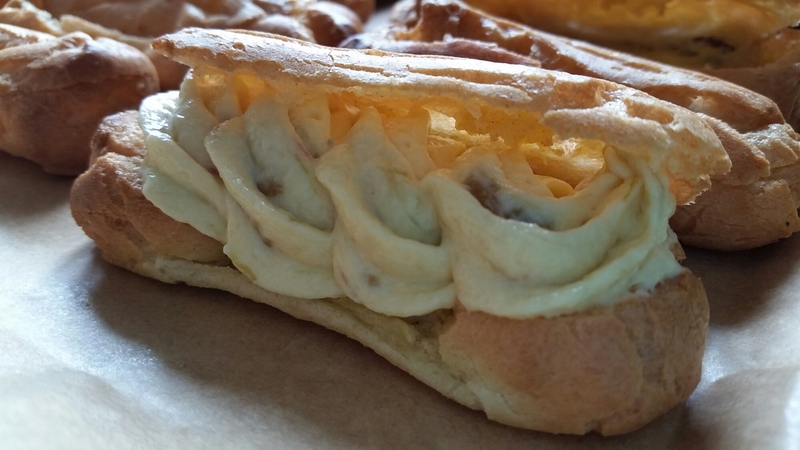 You can find a basic choux recipe on my ‘Choux-laa-laa A Paris Brest of Sorts’ post. 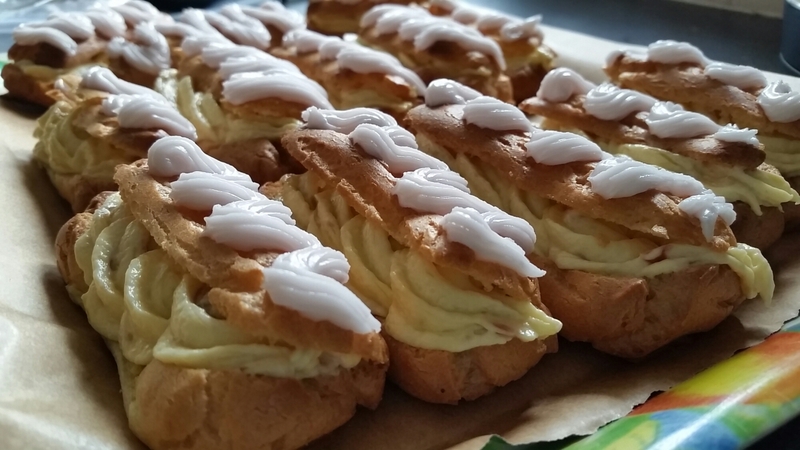 Once the eclair cases are baked, use a knife to open them out and set aside ready for piping. 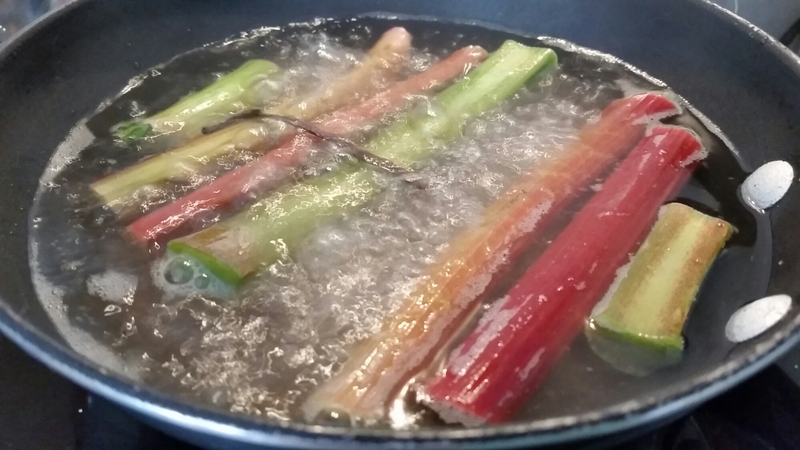 Next, I took the miniscule amount of rhubarb I had, put it in a pan with a few tablespoons of sugar (roughly 4 I think) and added some water. Poach until the stalks are tender. Then remove from the pan and place on some kitchen roll to dry out. 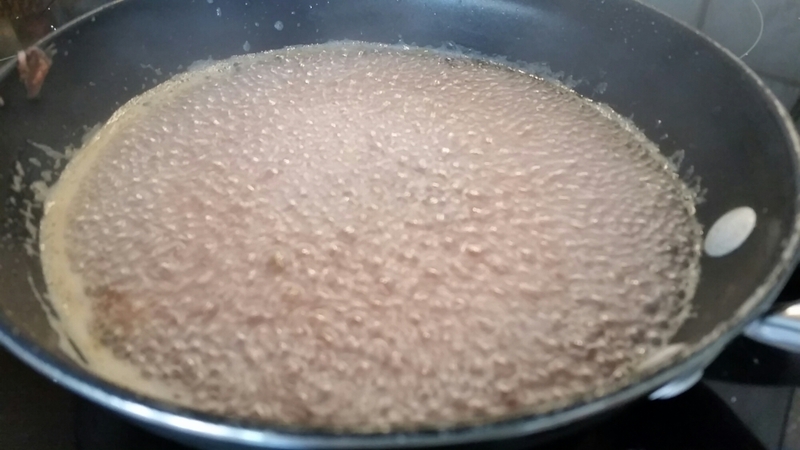 Allow the syrup left in the pan to reduce for a few minutes bearing in mind you’ll need about 190mls of it. 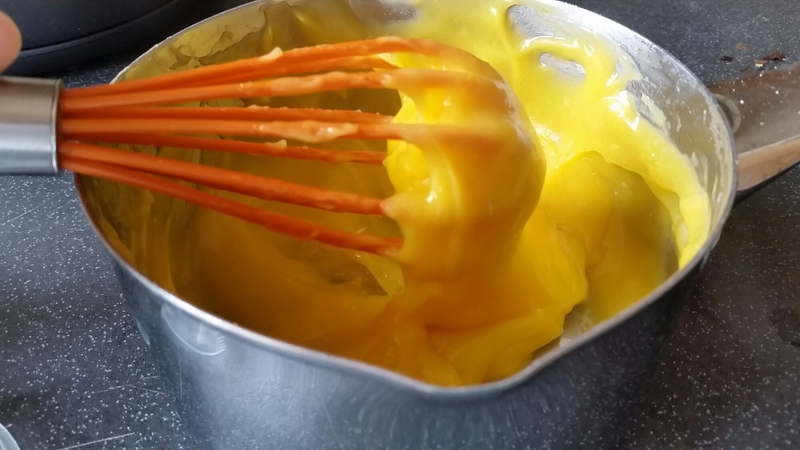 Once reduced, measure out 160mls of the syrup and pour into a pan along with 100g of custard powder. Whisk over a medium heat until the powder is cooked out. 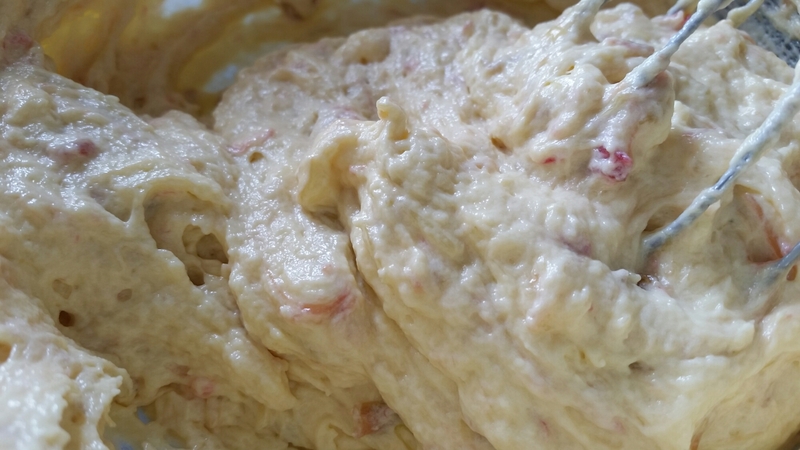 You’ll be left with an incredibly thick custard with a hint of rhubarb coming through. Set aside to cool. 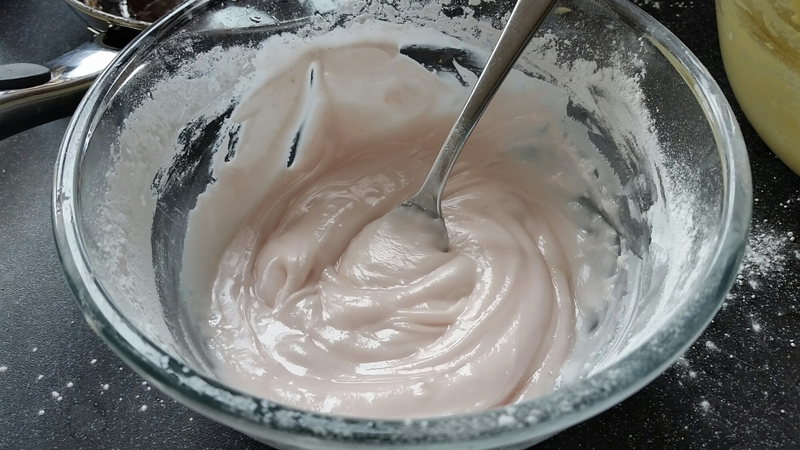 You could of course make a creme pat (recipe on here), but it’ll lack the rhubarb taste which is why I opted for custard powder. Now beat 125g mascarpone with 100ml double cream until combined. Once the custard has cooled down a bit, beat it into the cream/cheese mixture. It will take some working in so persevere. 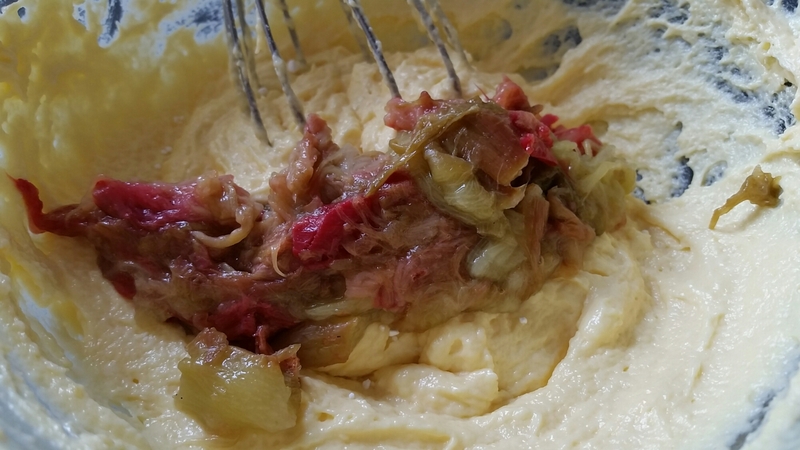 Once combined add in the cooled rhubarb, giving it a rough chop first. Time to start filling the pastry cases. 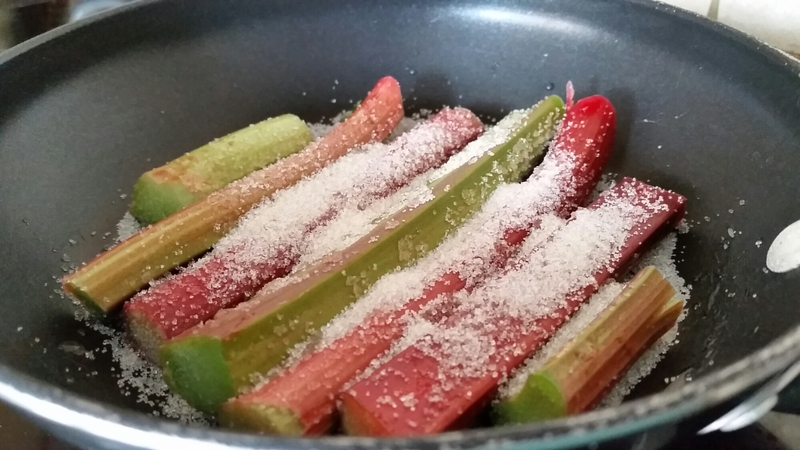 Once they’re all filled, take the remaining rhubarb syrup (there should be around 30mls) and whisk it into icing sugar, adding more sugar until you have a thick consistency. 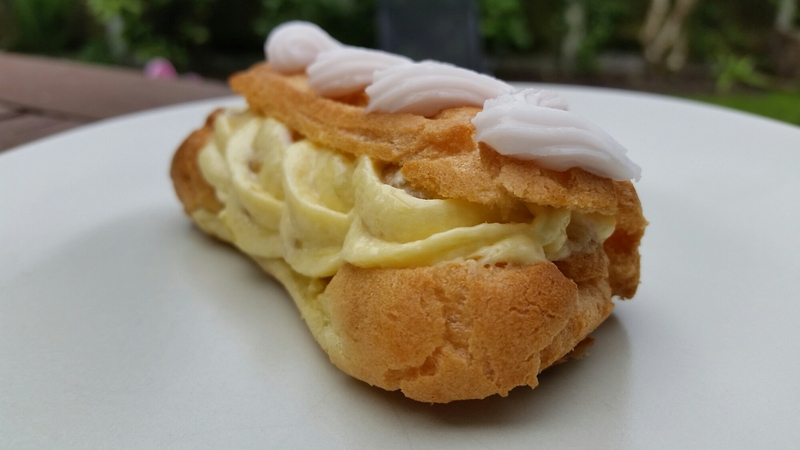 Pipe it on top of the eclairs using whichever nozzle you fancy. Refrigerate until you’re ready to serve. And there you have it. A twist on the classic cream and chocolate combo. Enjoy! 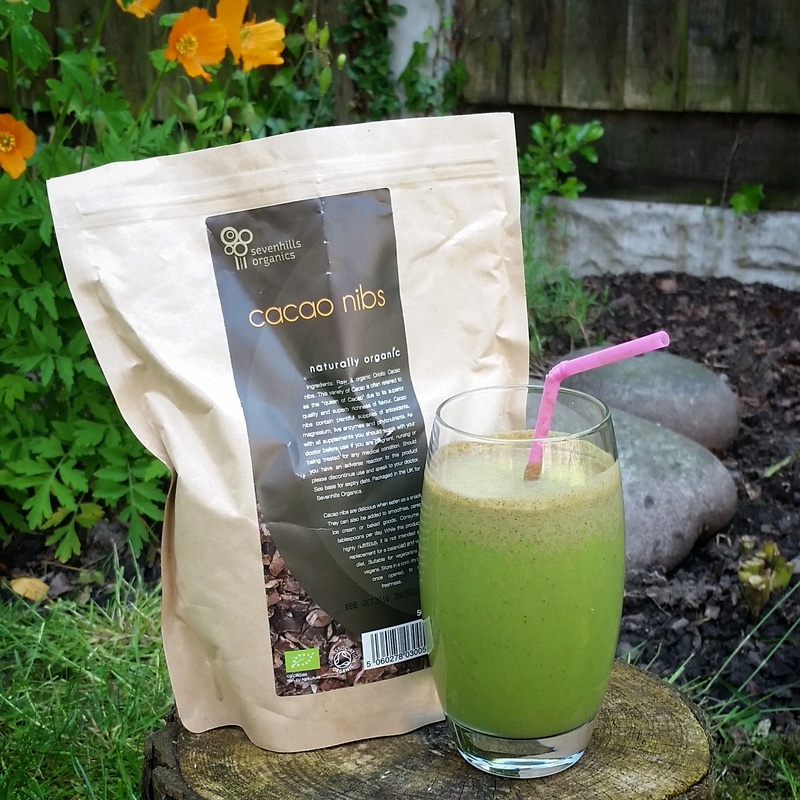 If you haven’t heard the hype about Cacao Nibs where have you been hiding? Apparently high in magnesium, flavanoids, potassium and antioxidants these bitter little chunks of goodness are the most raw form of chocolate you can get. You can read more about the benefits here. Now, I can’t remember if I’ve mentioned on here that I’m on a bit more of a health kick than usual, trying to replace a few lunches a week with an additional nutriblast (I usually have one for breakfast). I’m allowing myself to add in a couple of ingredients I wouldn’t usually add to make it a bit more substantial and fill me up until we have dinner with our four year old, which is generally around 5pm. Top up with water to the max line. Blast for thirty seconds and enjoy. 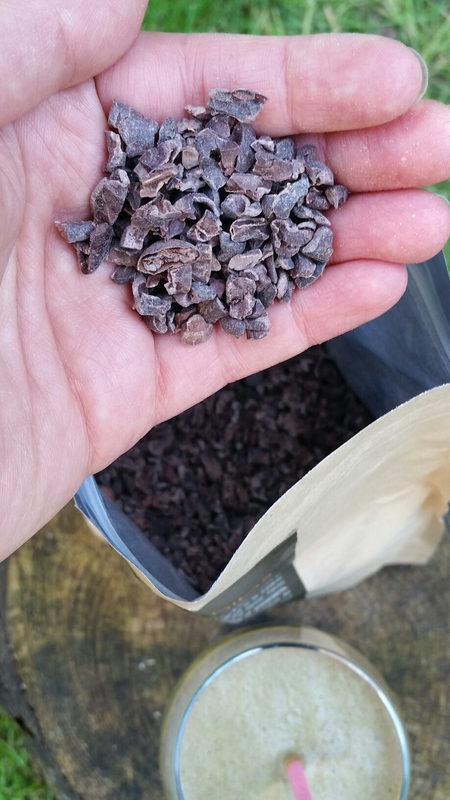 If you want, and I’ll probably do this next time, put the cacao in the cup first and grind to a powder using the milling blade before adding the rest if the ingredients and swapping to the extractor blade. It just makes it a little smoother. I’m on a bit more of a health kick than usual eating consciously and trying to ensure that everything I put in my body has some decent nutritional value. I still enjoy the occasional snack though but obviously have been looking for healthier alternatives. 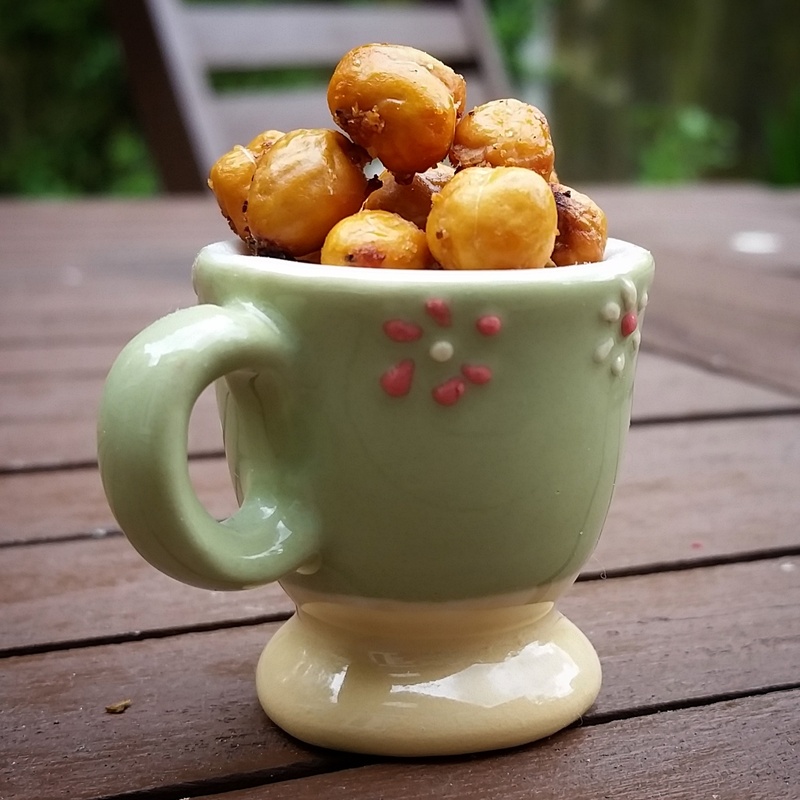 These are perfect if you fancy the crunch and savoury flavour of crisps but without the guilt. They’re incredibly simple too. 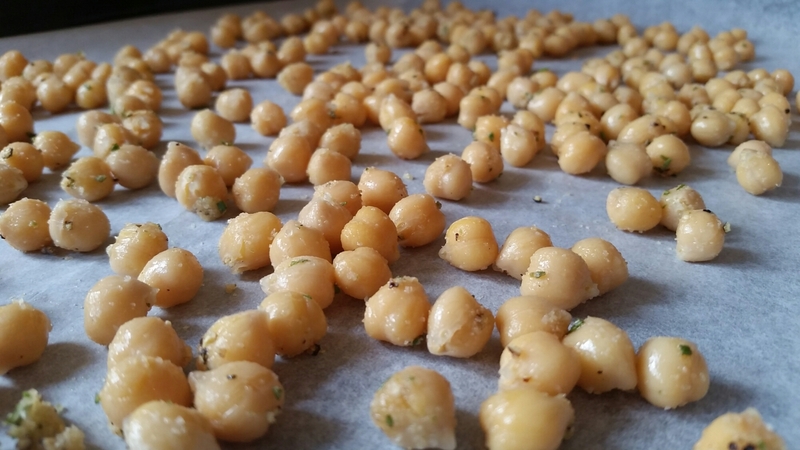 You’ll need a can of chickpeas and flavourings of your choice. 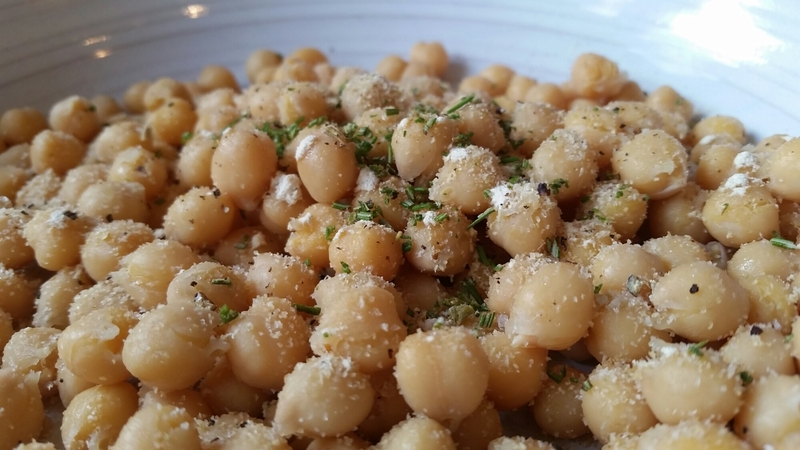 I used onion granules, garlic powder, salt, pepper, fresh rosemary and a teaspoon of olive oil. 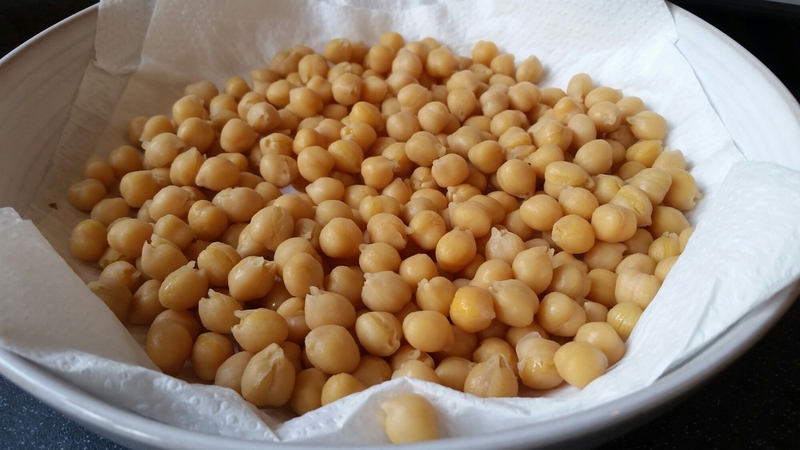 Drain and rinse the peas before drying well on kitchen roll. Remove the kitchen roll and add the flavouring of your choice plus a teaspoon of olive oil. 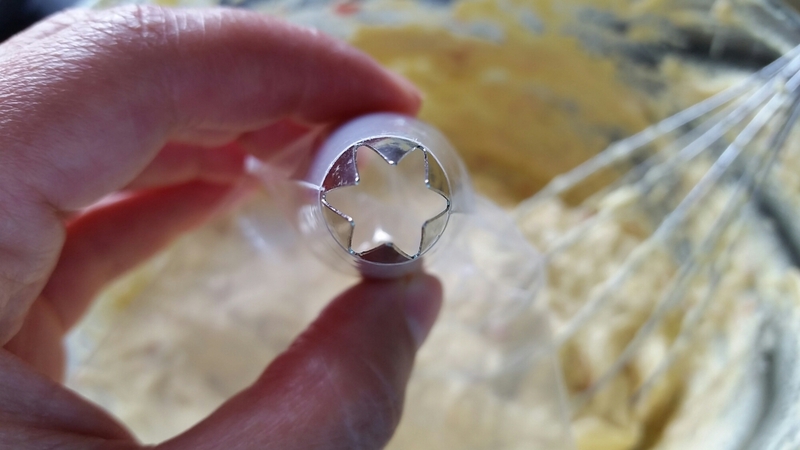 Spread out in a single layer on a greaseproof paper lined baking tray and bake at 180oC until crispy shaking the tray occasionally to move them around. It’ll probably take between 30-40 minutes. Enjoy! 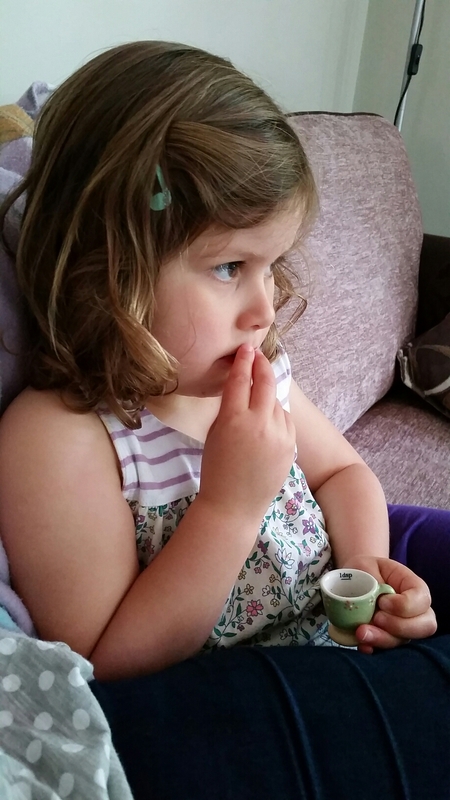 Oh, and these are great for little ones too! 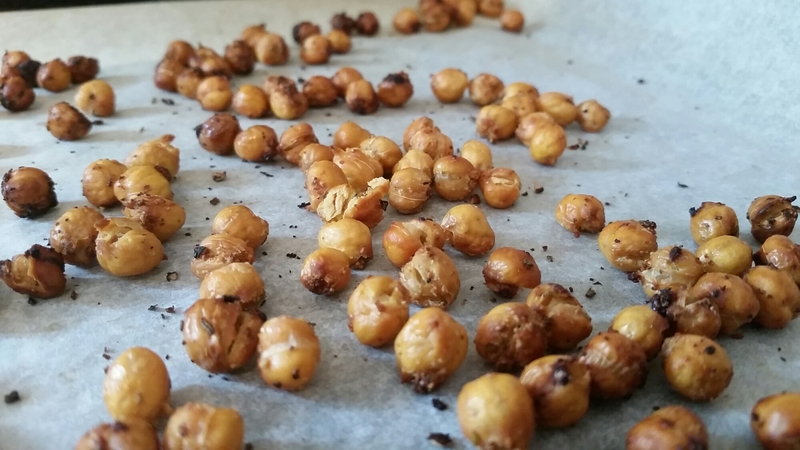 If you like these you’ll probably enjoy my Roasted Butternut Squash Seeds too.